Yu-Gi-Oh! 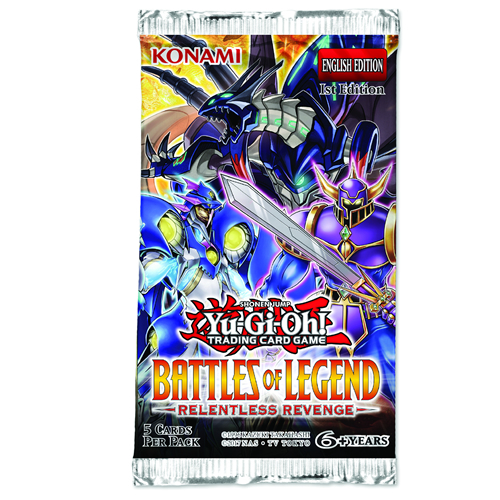 TRADING CARD GAME Battles of Legend: Relentless Revenge combines often-requested cards from each of the Yu-Gi-Oh! animated series, printed for the very first time, including new cards from Yu-Gi-Oh! VRAINS, high-demand cards used in current competition, and cards targeted at Duelists who want to play with Deck strategies and themes released over the past year and into the next one! • Features a brand new, powerful never seen before card. 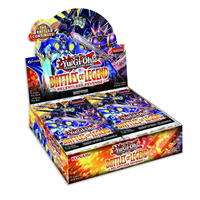 • Great for duelists using cards in current competitions. • Popular themes including Timelord & Number Monsters.